After spending the first nine months of their relationship long distance, Stephanie Henry and Scott Stukey chose a fitting quote displayed at their September 2015 nuptials at Edgefield: “Distance is just a test to see how far love can travel.” As a fun way of documenting their courtship, the couple created a photo calendar on display at their wedding made of 365 Instagram memories. “It seemed like a natural way to share our love story,” says Stephanie. 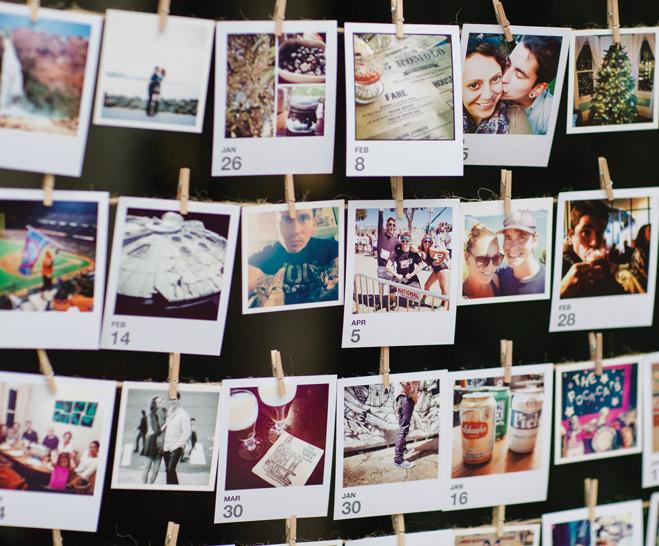 The newlyweds continue the tradition of the tear-off photo calendar, which now includes their wedding photos.